The title for the Lord’s Supper, “Breaking Bread,” may have escaped the twenty-first century Christian’s radar, because of its simplicity. However, it is mentioned in Scripture more often than all the other titles of the Sacrament. 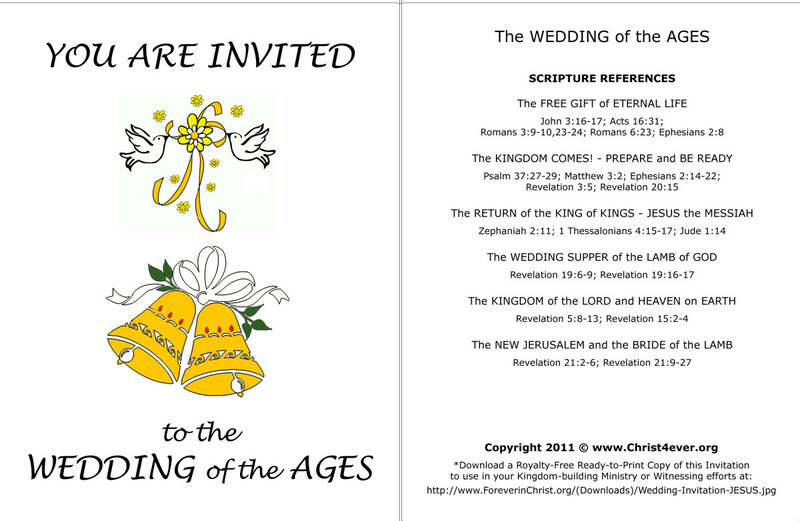 It is found in the following places: (Luke 24:30-31; Acts 2:42; 20:7; 1 Corinthians 10:16). The commonness of the term speaks of oneness. The most common thing among all living creatures, and essential to their existence, is food. Jesus chose eating (the most common act) the most common of sustenances—bread, as the means of bonding His disciples. It was a common act, with a common element; but once consecrated by the Master, neither the act, nor the element was common any longer. I am aware that some would challenge the title “breaking bread” for the Sacrament; so, we will look to the references, themselves, and make some observations concerning from them. Luke 24:30-31 And it came to pass, as he sat at meat with them, he took bread, and blessed it, and brake, and gave to them. And their eyes were opened, and they knew him; and he vanished out of their sight.”∼ Permit me to set the scene: the day is Sunday; Jesus has just resurrected earlier that day; He has appeared to the women at the gravesite, to Peter in an unrecorded appearance—but to none else; two of His disciples (one is Cleopas [v18], the other is, most likely, Mary, his wife) are traveling from Jerusalem to Emmaus, about a seven mile journey; as they travel by foot, Jesus joins them, but His identity is concealed from them, so that they do not recognize Him; they are sad about the crucifixion; Jesus rebukes them and begins teaching them what the prophets taught about the suffering of the Messiah; it is getting toward evening and the disciples stop for the night, perhaps at an inn, and invite their, yet unknown, traveling companion to spend the night with them; the supper is prepared and Jesus settles Himself at the table in the position of the host. Though not announced out-right, this is a formal covenant meal, that Jesus is having with two of His disciples. This is, most likely, the first Sacrament after it was instituted a few days earlier. The similarities, between this meal and the institution of the Lord’s Supper, are striking indeed. For example, the posture Jesus took at the table was that of the host: on the Emmaus Road, “When He had reclined at the table with them,” (Luke 24:30—NASB); while, at the institution of the Lord’s Supper, “When the hour had come, He reclined at the table,” (Luke 22:14—NASB). What is more, the wording is very close to the same: on the Emmaus Road, “He took bread, blessed and broke it, and gave it to them;” while, at the institution of the Lord’s Supper, “And he took bread, and gave thanks, and brake it, and gave unto them” (Luke 22:19). 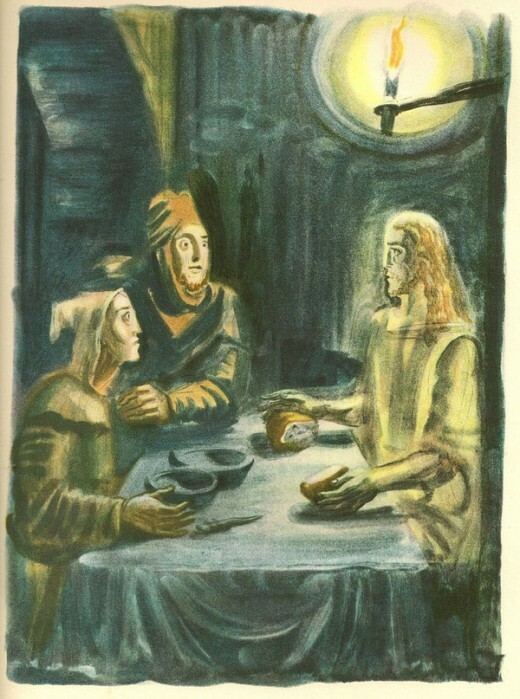 Although, in our Emmaus narrative, it was the disciples that invited Jesus to stay the night with them, yet, Jesus assumes the position as the host at the meal. It is the Lord’s supper, indeed. Added to this is the matter of the date of this meal, and the bread that was broken and shared. The date was the second day of the seven days of unleavened bread, when no leaven was to be eaten by any Jew, or in any Jewish household. The reason this is important is that the bread that Jesus broke and gave to the two disciples was artos, leavened bread—the same type bread that was given on the night the Supper was instituted. No religious Jew anywhere in the world (let alone Judea) was eating common, leavened, bread on this day, except here, on the road to Emmaus: Jesus, with Cleopas and Mary his wife, break artos—bread that had risen—leavened bread. One last observation concerning the bread (artos) that Jesus broke on the road to Emmaus: the Greek of this text says “the bread”—not just “bread.” When the definite article “the” is used, it sets the person, place, or thing apart from all other persons, places, or things of the same category. Therefore, this was a particular ‘bread’—the ‘bread’ of the Eucharist. It is very appropriate that Cleopas and Mary received the revelation of who their traveling companion was at the breaking of the eucharistic bread. 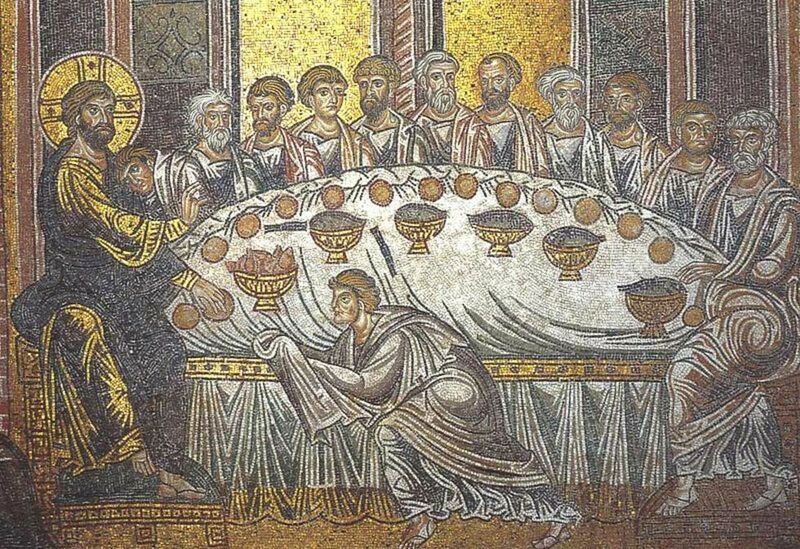 As the shewbread of the Old Covenant was the לחם הפנים lechem haPānīm‎, literally: "Bread of the Presence", so is the eucharistic bread the “bread of the presence” of Christ. He said, “This is my body” (Matthew 26:26). It is at the “Breaking of the Bread” that we all come to know Him, and see Him as He is—our eternal sacrifice. Acts 2:42 And they continued stedfastly in the apostles' doctrine and fellowship, and in breaking of bread, and in prayers. ∼ It seems that Christ has always had those willing to follow Him, as long as the following could be on their terms. These cafeteria Christians would forsake the Lord’s Table, if they could. These show themselves most unwilling to accept that the term “breaking bread” signifies the Lord’s Supper. When coming face to face with Acts 2:42, the term “breaking of bread” is interpreted as participating in a common meal. So, we will make some observations concerning this text. First, we will consider the context of Acts 2:42, where the phrase “breaking of bread” is found. (Remember a text without its context is a pretext.) There are four items listed, which the first disciples continued in steadfastly: 1) apostles doctrine, 2) fellowship, 3) breaking bread, and 4) prayers. It is seen, that “breaking of bread” is listed in the context of three other items that are intimately religious in nature. The context of the passage would demand a religious nature for the “breaking of bread.” To assert that the “breaking of bread,” in this text, is nothing more that a common meal is to separate it from its context; and, a text without its context is a pretext. We may conclude, then, from the context of the list in which “breaking of bread” is located, that it, too, is a religious act. Thus, the Lord’s Supper. Second, the Greek of the text demands that the bread spoken of is the eucharistic bread. The Greek reads: tē klasei tou artou, “the breaking of the bread.” As was the circumstance in Luke 24:30, 35, so too here. The definite article “the” “is a functional word to indicate that the following noun (bread) or noun equivalent is a unique or a particular member of its class.” (Webster’s New collegiate Dictionary, ©1981 by G. & C. Merriam Co.) Therefore, the “breaking of bread” the disciples “continued stedfastly in” was the Lord’s Supper. Third, the effect these four religious activities had upon all who witnessed them is significant. 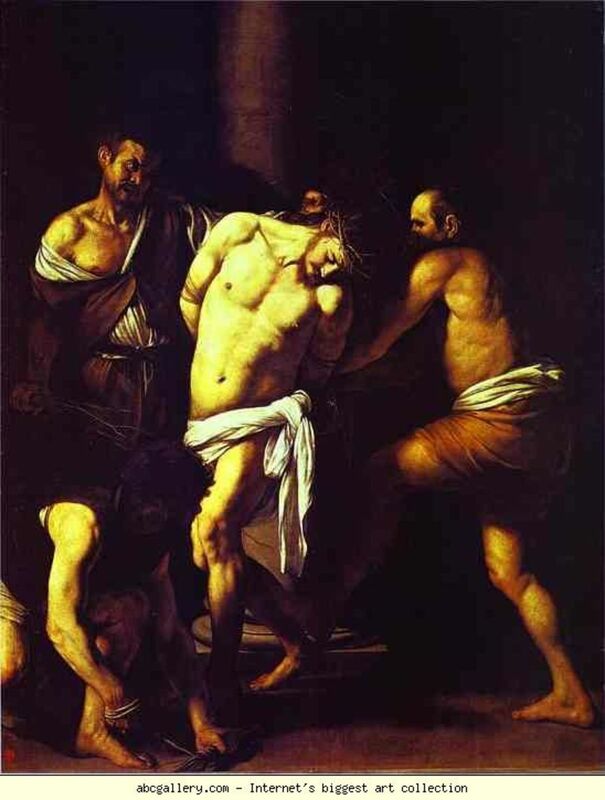 Luke records, “Then fear came upon every soul, ... .” The mob in Jerusalem had clamored for the death of Jesus. The Jewish leaders had hoped to kill the Jesus Movement by killing its leader. The evidence was: It did not work! Instead, they witnessed great numbers of disciples attending “stedfastly in” the teachings of the apostles of the murdered Man—this caused them to fear. They witnessed great numbers of disciples attending “stedfastly in” fellowshipping, clinging to and supporting one another. They were not going away as the rulers had hoped—this caused them to fear. The people witnessed the great number of disciples attending “stedfastly in” the customary prayers—this caused them to fear. In this context, it is not sensible to imagine that fear came on the people by witnessing the disciples eating a common meal. But, for the Jews to see the disciples eating the sacred meal that commemorated the crucifixion (keeping it constantly fresh in the minds of the disciples—they were not forgetting) of Christ, of which they were guilty, (remember that Peter had told the mob, earlier in the chapter: “... you have taken (Jesus) by lawless hands, have crucified, and put to death;”) would bring fear on them, indeed. The site of Troas is deserted. All that remains are ruins such as this arch. While the above quotes are all from paraphrased versions, I give them to demonstrate how the phrase “to break bread” is understood. To argue counter to this view, one must go beyond the bounds of sound scholarship concerning the text. 1 Corinthians 10:16 “The cup of blessing which we bless, is it not the communion of the blood of Christ? The bread which we break, is it not the communion of the body of Christ?” ∼ It is hardly doubted by any, that the bread being spoken of here, is the bread of the Lord’s Supper. By and large, the only challenge presented on this text comes from a very small group calling themselves “Bread of Life.” This group professes to observe a spiritual communion, and denounces the literal elements altogether. To “Bread of Life” churches, the bread is either the Bible (Word of God), or the Church—depending on which passage they are expounding upon, and who is doing the expounding. I beg the reader’s patience as I address this issue in a concise manner. The full text takes in vv16 through 21. 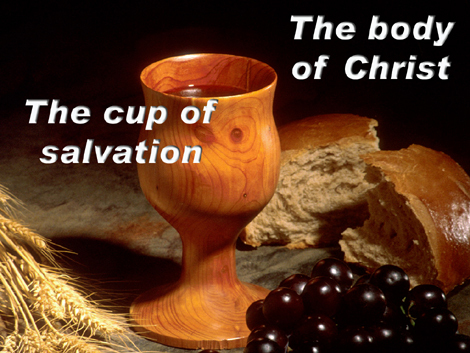 1 Cor 10:16-21 The cup of blessing which we bless, is it not the communion of the blood of Christ? The bread which we break, is it not the communion of the body of Christ? 17 For we, though many, are one bread and one body; for we all partake of that one bread. 18 Observe Israel after the flesh: Are not those who eat of the sacrifices partakers of the altar? 19 What am I saying then? That an idol is anything, or what is offered to idols is anything? 20 Rather, that the things which the Gentiles sacrifice they sacrifice to demons and not to God, and I do not want you to have fellowship with demons. 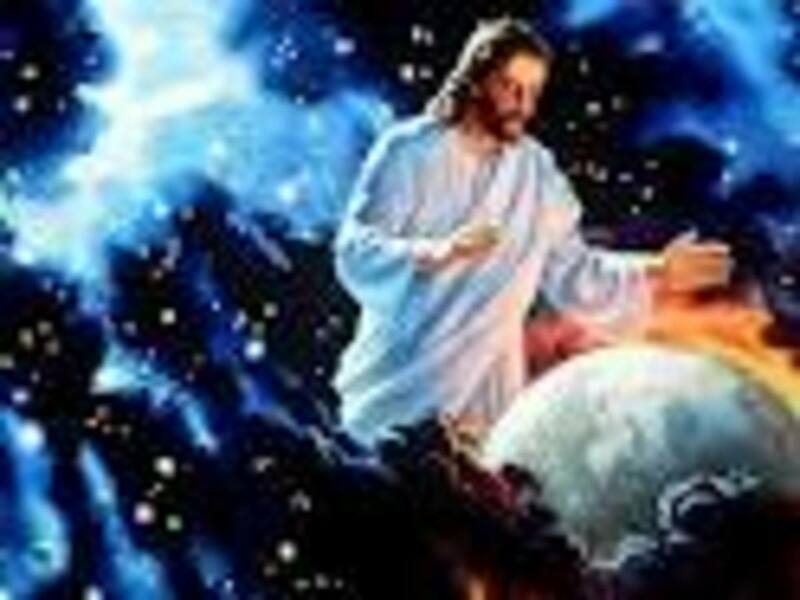 21 You cannot drink the cup of the Lord and the cup of demons; you cannot partake of the Lord’s table and of the table of demons. Within the context of the passages there are three communion meals listed: 1) the Christian, 2) the Jewish, and 3) the Heathen. First, there is the Christian communion with the bread being broken and the cup being blessed. Second, there is the Jewish communion. In this communion there is literally an altar, a literal sacrifice, literal eating which makes the participants partakers with the altar. Third, there is the Heathen communion. In this communion, there is literal meat and drink offered to idols. There is a literal cup called the “cup of devils,” and a literal table, where the feast is observed, that is called the “table of devils.” Notice, the Jewish communion is literal in every way; also, the Heathen communion is literal in every aspect. To acknowledge that three communions are juxtaposed in Scripture, and two are literal—with literal elements, and one is spiritual, is to do violence to the Law of Context. It is taking one, of a list of three, and setting it apart, and assigning an interpretation to it without its context. To do this is a sad miscarriage of honesty. Said plainly: It is to be doctrinally dishonest. A text without its context, is a pretext. Satan is crafty. At first glance it may appear that the statements are saying the same thing, even though transposed. But, they are not. In fact they are saying the exact opposite, one from the other. Paul says that the “cup of blessing” is the fellowship of the blood of Jesus. Bread of Life is saying that the fellowship of His blood (which they define as worshiping in His Spirit) is the “blessed cup.” Paul says that the the broken bread is the fellowship of the body of Christ. Bread of Life says that to fellowship with His body (which they define as the Church/Bible) is the bread that the Christians break. One should give attention to the comma (,) in the verse. The comma is used to separate a DEPENDENT clause from the MAIN clause. There are two sentences; “The cup of blessing ... ,” and “The bread which we break... .” These two statements are the main clauses in the two sentences. This is proven by the second clause in each sentence: “is it ... ;” which refers back to the main clause in each case. The clause “is it ...” clearly makes the second statement dependent upon the first. It is demonstrated, then, that the term “breaking bread” is a common biblical way of referencing the Lord’s Supper. 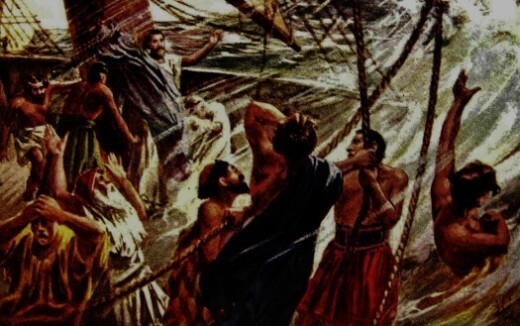 The Apostle did not eat the mentioned broken bread with the crew or main group of passengers, though he certainly would have shared with other Christians on board. This article is the introduction to a series on the Lord's Supper. Jesus instituted this covenant meal and commanded its observance. Here we review the teachings of those whom the apostles taught. In this writing the author gives a brief description of the different terms used by Christians to describe and identify the sacramental meal Christ instituted the night before His death. As one searches the New Testament for a reference to the Christian altar, it comes as a shock to evangelicals that the Lord's Table is the only New Covenant altar mentioned. Here, we declare it so. The question of "Who may Partake of holy Communion" is explained by this writing. Some churches practice "open communion", while others practice "closed Communion." Which is biblical? 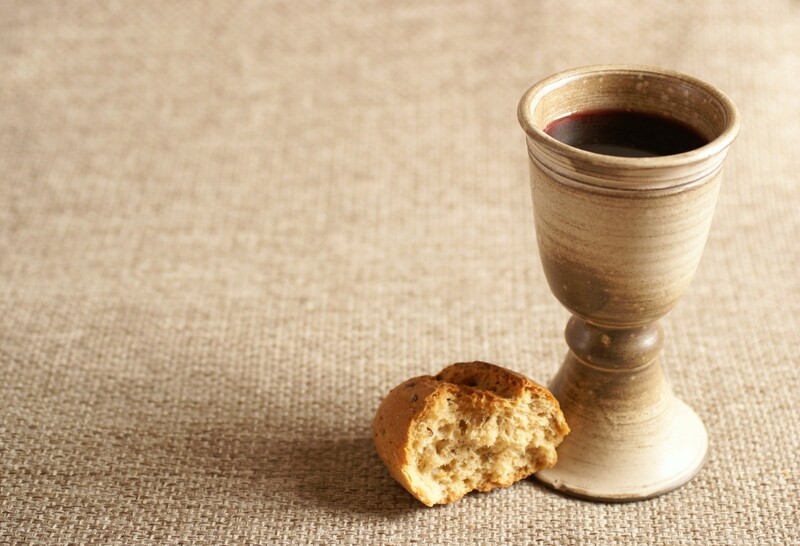 This article reviews the question; Is partaking in holy Communion necessary for salvation? With the many different practices of Eucharistic observance in Christianity it may be a challenge to know what the biblical frequency is; this article seeks to present the biblical view. 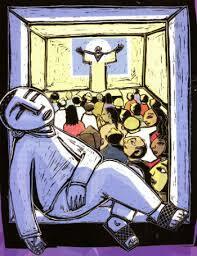 There is a message being sent from non-denominational type churches that just anyone may officiate at the Lord's table. Counter to this is the question of the imperfect minister. What says the Bible? This article covers the question as to the nature of the biblical elements of the Lord's Supper. Christians are divided over leavened or unleavened bread; fermented or unfermented fruit of the vine. In this study we examine the importance of biblical symbols, especially in relation tot he holy Communion. In "The Lord's Supper" Bishop Hayes presents a comprehensive study of the holy Sacrament. Both the Catholic and Reformed positions are examined and biblical solutions are given for the problems that exist in the mentioned theologies. The book answers important questions, like: "What is the Lord's supper?" Who may partake of the Lord's supper?" "Is the body and blood of Christ really present in the elements or do the elements actually change into the body and blood of Christ?" "How often should the Lord's Supper be observed?" These are but a few of the questions addressed in the book. Having shopped in several Bible bookstores and discovering how little is written on the subject it is safe to predict that this work will be in great demand and a standard volume in the libraries of those who love the Sacrament. 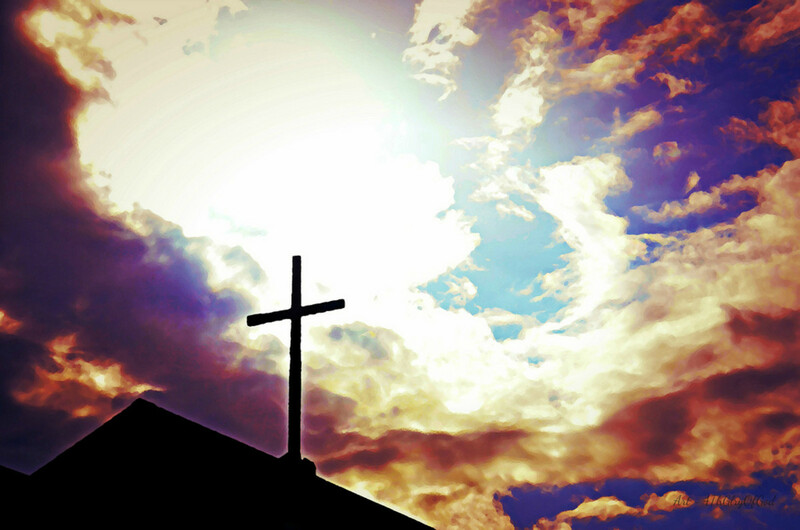 Is God Glorified When People Go to Hell?